Need a Helping Hand? Isabella did, so we did our best to help her out. I first met Isabella back in April 2015. I was manning a stand at a EUL Docklands Open Day and i’d made arrangements to meet her there, with her mother and uncle. I wasn’t too sure what to expect, I’d been a member of the Enabling the Future (enablingthefuture.org) volunteer community helping people to be fitted with a prosthetic hand, for over a year, but this was the first real contact I’d had with a recipient. 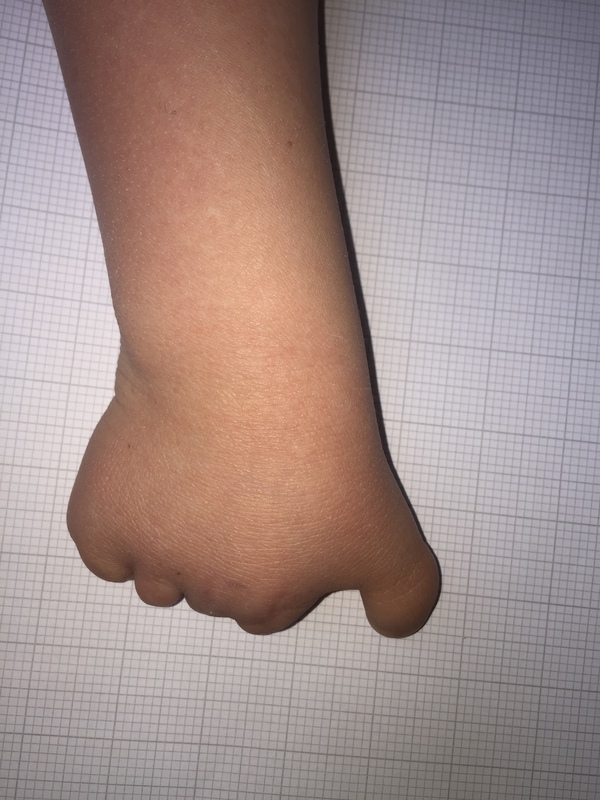 Isabella was born with Symbrachydactyly, which is a congenital (present at birth) hand anomaly, which affects a single upper limb.It is characterised by short,stiff, webbed or missing fingers.The underlying muscles, tendons,ligaments and bones are all affected. This occurs in one out of 32,000 births. Isabella is a bit of a character. Instantly likeable and a very bubbly personality, she seems to take her disability in her stride. I took some measurements and, using the Hand-0-matic tool on the E-nable website, I created a set of files and got printing! Now her original request was to make it colourful, but the initial files produced gave me a hand that would fit me (I’m 53 and she’s 8), so the scaling was a bit out. But the downside was that it used all my pink filament! 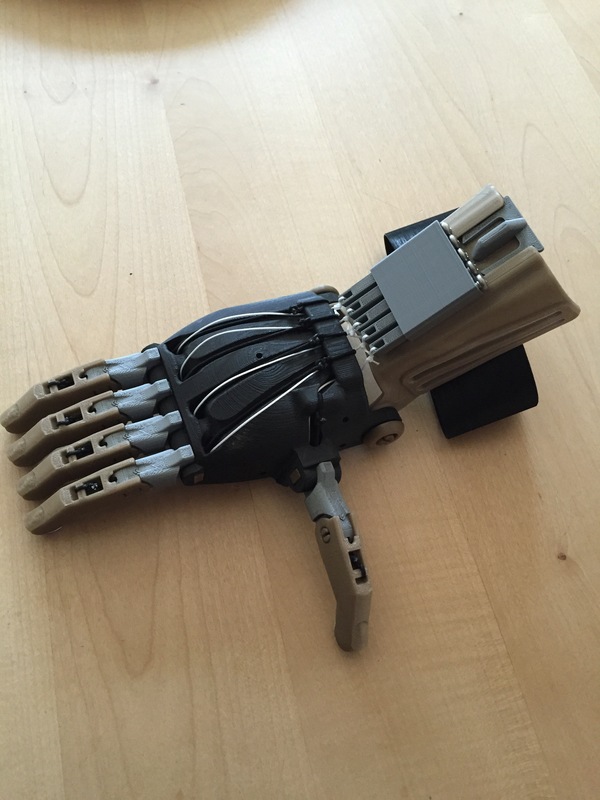 Next I went for a thermoformed gauntlet (forearm piece). It prints flat and then, when heated in in boiling water, can be formed around the arm, making a better fit. Then I used this gauntlet and scaled it to fit the palm and the fingers. The result was a nice, black, silver and gold hand in Colorfabb filament. Isabella and Mark, her dad, popped over to my house on a Saturday morning and we thought we’d give it a try. Looking nice is one thing, being practically useful is something completely different. We sat in my kitchen and strapped the hand on for the first time. We checked the padding, the tension on the screws and then, finally, we were ready for a trial run. By flexing her wrist she was able to open a close the fingers. That worked fine so now it was time to try and pick something up. We didn’t want anything breakable or too heavy, so we settled on a plastic spray oil container. The result was a complete success and she took the hand home. It made the local press, Evening Standard, BBC South West and ITV news. Mark has made some post-fitting changes to improve the fit and the grip and she’s been getting on like wildfire. I saw her again, last Saturday, as it’s been getting on for 6 months now, and I wanted to see how she was getting on. The current hand still fits okay, but there have been some more recent design changes from the fantastic designers involved with Enabling the Future, so we’re going to have a look at a few of those to see if we can come up with something new for her. 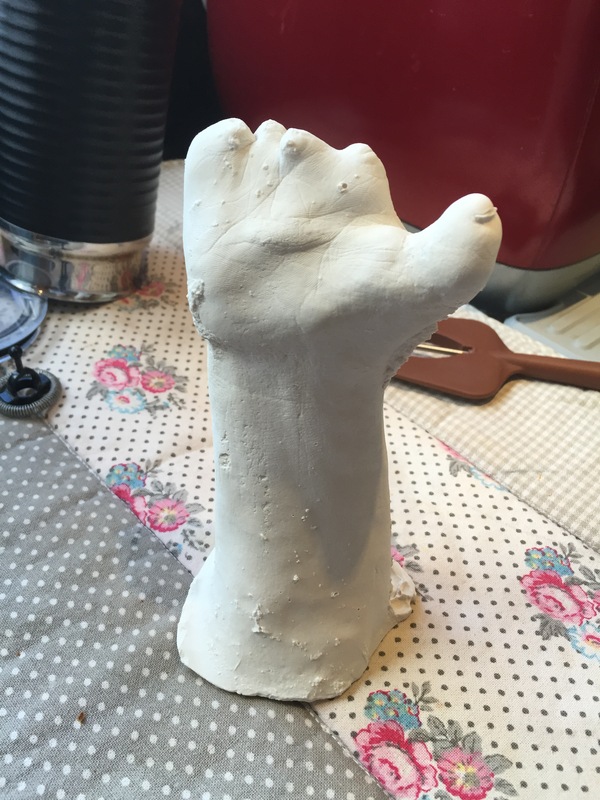 Because of that, I thought we’d try and cast a copy of her hand using Alginate and Plaster of Paris. We had some fun, mixing and casting and came up with the picture on the left. To be honest, I was really surprised how it came out, but it did feel a little bit on the fragile side, so I got my Occipital Sensor scanner out and ran a quick scan and the printed a plastic copy for day-to-day testing and fitting. 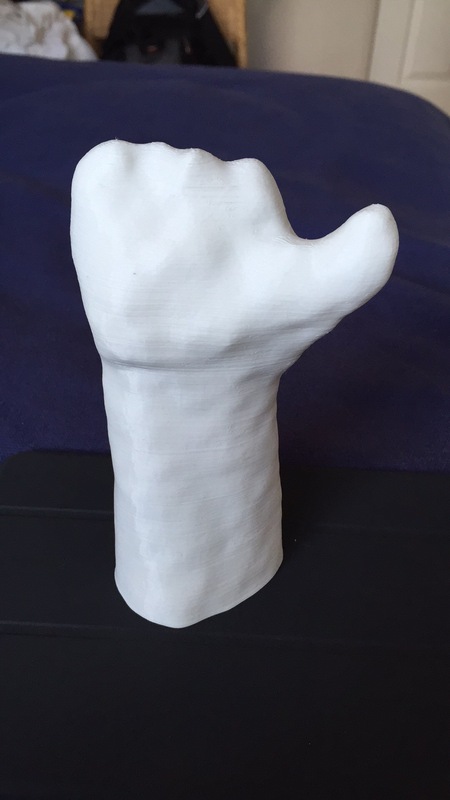 I have to say that, with the technology available today, the whole process from casting to scanning to printing was completed in a number of hours. 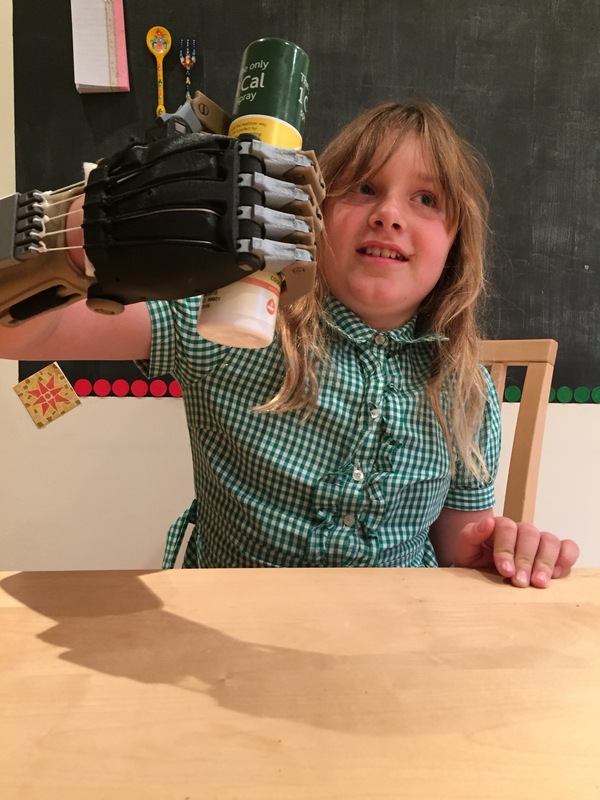 The technology from companies such as Printrbot, Occipital (and Apple) and Filament from Colorfabb (and others) made all this available to makers and tinkerers and, hopefully, will enable e-nable hands to be fitted to more people. Rafts-will your print sink or swim? I’ve been 3D printing now for a while, getting on for 3 years and, in that time, software has progressed. When I started, the recommended software was Pronterface and Slic3r, running separately to produce your model. Now, when you start printing, especially when it’s new and you’re going to change the world with it, you play around with the settings, to get the best print you can. My first printer was a Printrbot LC Plus and came supplied with ABS. Now I have to say, ABS as a first print material is like giving someone the best, creamiest cake ever and then spending all the time they eat it telling them how fat they’re going to get. It looks fantastic to have this new, wonderful device, moving via computer, oozing a plastic thread and then watching print after print fall off the bed. Once you’ve mastered the temperatures of filament and heated bed, and maybe some ABS Juice, you finally get something… today, PLA makes that first print so much easier…. anyway, I digress..
You load Slic3r and go through the settings, you find the one that says BRIM and SKIRT and have a play with those and then you get to the support material and check the RAFT box. It sounds such a great idea, a bed of filament that your print will sit on and stick… and then, when your print finally comes to an end and you go to remove the raft…..ahhhhhhhhhhhhh. It takes as long to get a nice finish as it did to print the thing!! So from then on, rafts were relegated to the toolbox with the left-handed screwdriver and the chocolate teapot. Now things change, new versions of Pronterface, Slic3r and the new player Repetier Host come along. Repetier uses Slic3r, but all wrapped up in a nice, one program interface (to be honest, Pronterface did the same thing, but I could never get my head around where the settings were configured). Still, rafts were not used, heated beds were used for PLA instead, to save the time of the cleaning. Then Cura came along. Originally for Ultimakers, it soon joined the ranks of the Open Source printer controller software. Again though, not a main player in my arsenal. Eventually, with the latest version, they added the profiles for my Printrbot machines and, to the average 3D printer, I probably seem to have more than normal but, as I help with Technical Support for them, I like to know the kind of issues people may face… Anyway, Cura is now the recommended software for Printrbot and I was having trouble printing some pins for a print I was doing so, out of shear desperation, I selected raft from the pull down box and told it to print. Well, I wasn’t expecting what happened next. It started with an outline and then widely spaced lines in the Y direction. Then it moved to a 45 degree fine line and then a complete layer in the X direction and then, finally, another complete in the Y direction. I watched the whole thinking when’s it going to start – how many layers is this thing. And then, finally, the print finished. I took it off the bed with some trepidation and applied a bit of pressure to the first pin… it popped off, so smoothly that I dropped it! They all came off, so easily. Then I tried it with some bigger prints and, every time, the print just popped off the raft. 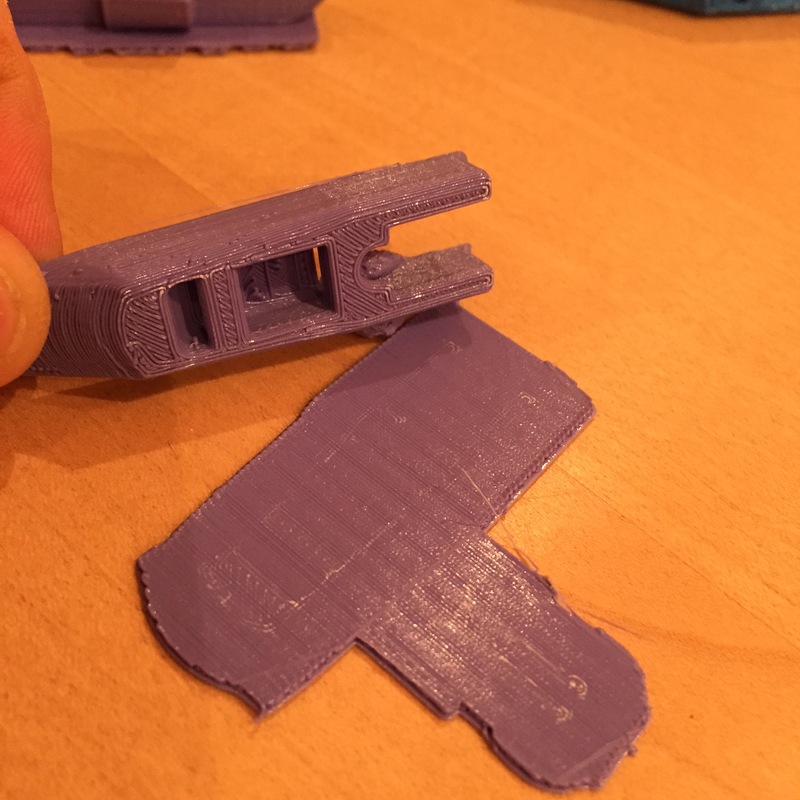 I have to say Cura, you’ve converted me to rafts, especially for smaller pieces that may have trouble sticking. If you haven’t tried it, give it a go… you’ll be surprised. It was a Monday in the London Hackspace, during a 3D Printer Meetup, that I first heard of Dragon Hall from James Dellow. He’d come along for a look to see what is was all about and to see how it would work with the young people at Dragon Hall. Now James had got himself a One-Up 3D printer and asked if I would build it for him. I’ve built more that a few and was glad to see someone else’s design. The long and short of that was it ended up, with the use of a Printrbot Simple wood kit, as a much more robust, longer Z axis, Simple, but I diverse. The guys from Dragon Hall ordered 3 Printrbot Simple kits from the US and the plan was that I would work with them to build them and then, going forwards, we would introduce some simple CAD and follow the full 3D print process from CAD through to holding the idea in your hand.. In my mind, one of the things that makes 3D printing so incredible. And then then kits turned up. Three of them, in a box, six team members, we’re looking at two to a printer (to start with!). So we get to phase one, un-boxing. What the guys weren’t prepared for was the separating the wood pieces and sanding off any rough edges. That kept them occupied for a while, amid complaints about the quality of the cheap knives I’d picked up at the last minute. Finally we were ready for the first part of the construction. As always, when you have groups of people doing the same thing together, competition sets in. For the first stage, I wanted to get the base complete and, even though they were looking at the same sets of instructions, you wouldn’t have believed it. It was a good thing that I had a load of extra zip ties. Nothing major, but some things have to be the right way round. So wire cutters and zip ties saw a lot of action during the first (and second) sessions. By now the team competition was in full flow and, as chance would have it, the team that had raced on had to redo the most, so by the end of session one the slowest and steadiest team came in first. For session two, it’s Y axis time… lots of cable ties, lots of bearings and, as we’ve almost come to expect, lots of room for error. We were down a couple of people this week, but the guys rallied on and, after twice as many cable ties as come in the kit, by the end of the session we had something that looked like a Printrbot Simple. These were the 2013 model, without the aluminium extruder and the wooden sliced version does take a bit of putting together. For some reason, people think that 1/4″ is the same as 6mm. 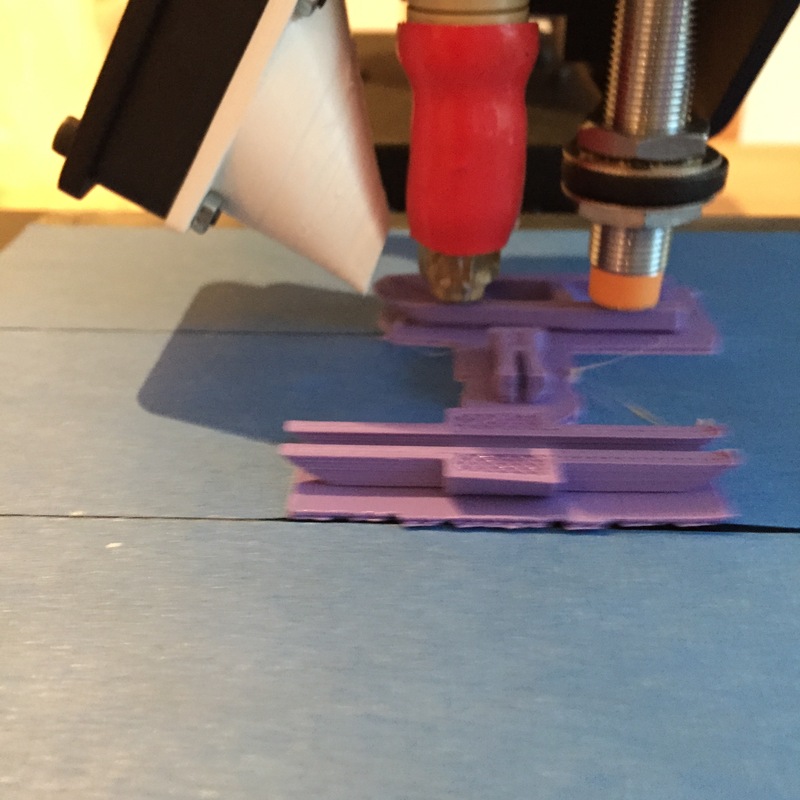 Heads up, it’s not… it’s 6.35mm so when you build the extruder, by three slices in, your filament path is 1mm out. Doesn’t sound a lot, but it’s enough. Bits of sandpaper to the rescue and everything was together ready for wiring. Wiring was run, checked (re-run!). Endstops were triggered, connected properly and tested again, motors were run and, my slow and steady team (only one team member left at this point) was up and printing…The Winner! Team two, ably assisted with our extra people were next and finally, the printer I was working on – only because the short notice scheduling change – was running as well. But just building isn’t all you need. We had to get Repetier downloaded and then configured. I have some Slic3r settings I use, some I put together for a slow and steady print and some by Naomi from RoboSavvy, faster and more adventurous. Then it was welcome to the world of Thingiverse. What do we print? How big is it? How long will it take? What colour filament do I use? All essential questions in the tech age of 3D printing! Considering there were differing levels of mechanical skill, the builds went surprising well. Those guys worked really hard and, I know there was some skepticism about 3D printing, but I think now, when the build has been completed, all those doubts have been put aside. This technology is, and I’m sure a lot of people agree, the way forwards. When I was at school (and I’ve told this story a million times), the choice was woodwork or metalwork. Now, with Arduino’s, Raspberry Pi’s, 3D printing and all of the other technology of the last few years, the young people of today are the inventors and techno geeks of tomorrow and we should do what we can to encourage this. So on Saturday March 22nd 2014 I started what I hope will become a fairly regular thing – A Printrbot Simple Build Day. It was held at C4CC near Kings Cross Station (it’s a cool, designy/techy space, tied in with some universities). The day started early, it was my first one and it needed a bit of organising. Okay, a lot of organising, I laid out the tables and then, as soon as people started turning up, moved them all around. We settled on an L shape with a printer table on the 3rd side and the screen on the last side of the square. I received the kits from RoboSavvy along with some Simple Towers and Aluminium extruder kits. There was no-one that I would call a complete technical novice, but this is a fair part of mechanical build and some simple plug and connect wiring. Nothing particularly difficult, but it does need some knowledge of the best way to put things together. All in all, a good bunch of people with the skills and determination to put the printer together and to print something. it apart to rebuild it. Also, supporting Printrbot for EMEA, I had a stock for spare parts for the small broken/missing/DOA parts. 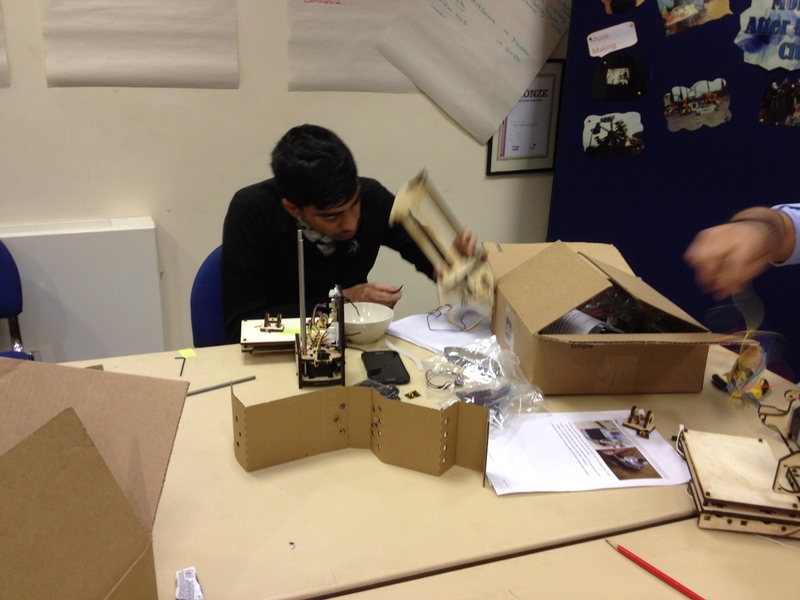 Some people were quicker than others, but all managed to build, configure and print, which was what the aim was. Did everyone enjoy themselves? Well I know I did and the comments posted on the RoboSavvy site seem to give the impression that the participants did. 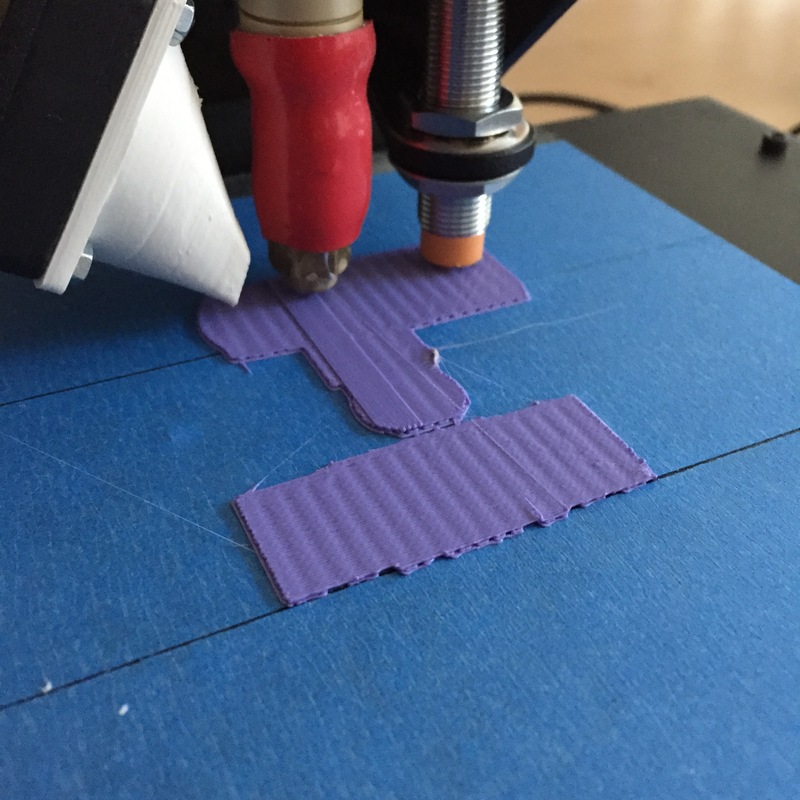 There’s another one coming along in a few weeks and, if that’s works as well, maybe we can get more people printing..
Getting Started with 3D Printing? I got my first printer back in October 2012. I’d been left some money by my dad, which was a pity because he would have loved this technology. He always loved gadgets and, when I started, he would have been over to see it before I’d put it together. It was a Printrbot Plus (www.printrbot.com). Lasercut birch ply, metal bits, wires. I loved putting it together and the first time it printed… that was it, I was hooked. That printer is now half way through being converted to a dual extruder model. Two colours or different materials. Sounds geeky, those who know would love the tech. I also have a Printrbot Simple. It started as a Beta and now is upgraded to the latest Simple production model. Brook Drumm from Printrbot is very good to his Beta testers and as soon as the beta moves to production, he makes sure that the testers get the production stuff. The same as happened with the dual extruder, beta to production. If you wanted to get started now, you can still grab a Printrbot Simple, for £300 in the UK or less if you’re in the US. The build area isn’t as big as some, but to get started, you can’t beat it. 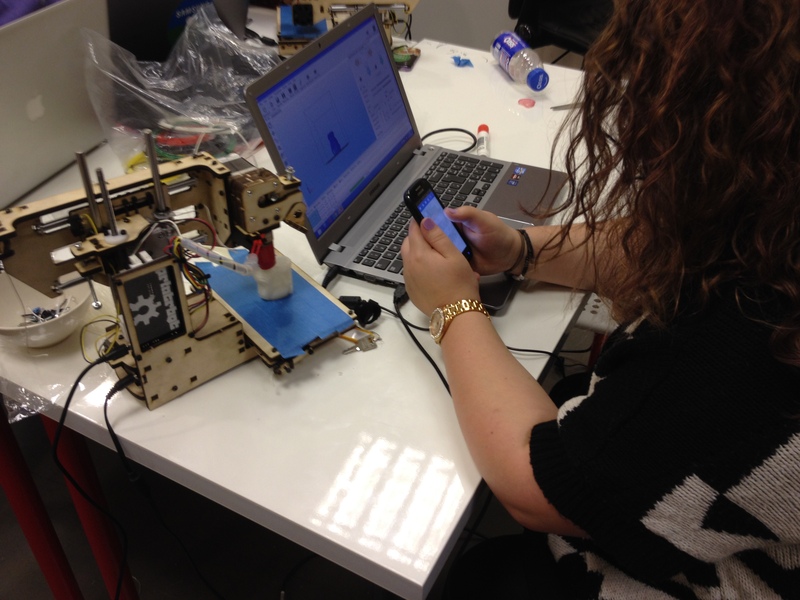 If you want to see what it’s all about, before spending the money, pop along to the 3D printer meetup, every other Monday at the London Hackspace. Next meeting is the 3rd Feb and then every two weeks.